Sylvain Chavanel (IAM Cycling) won the GP Ouest France-Plouay in France on Sunday, taking the win from a seven-man escape group. 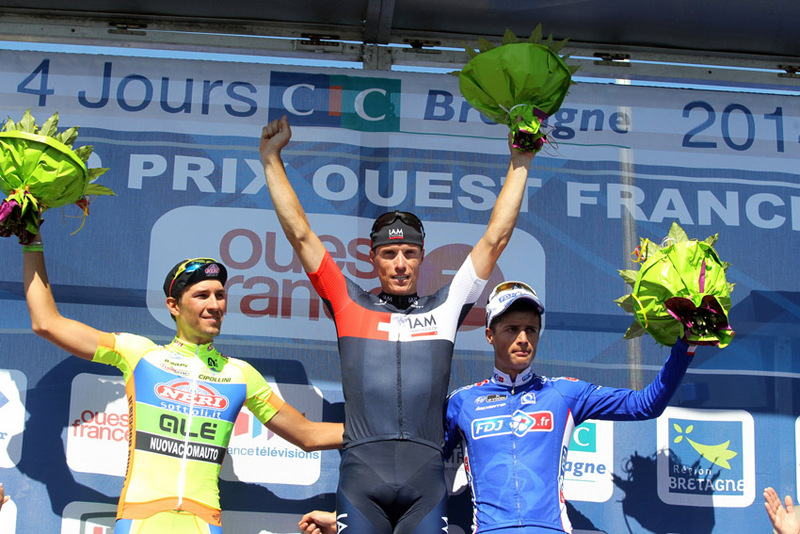 Chavanel out-paced Andrea Fedi (Neri Sottoli-Yellow Fluo) and Arthur Vichot (FDJ) to the line and add to his overall victory in the Tour du Poitou-Charentes last week. It’s the IAM Cycling team’s first victory in a one-day WorldTour race. Chavanel had attacked with six other riders over the final climb, staying away from the peloton to take the victory. Ben Swift (Sky) was Britain’s highest-placed rider, coming home in the pack two seconds behind Chavanel. Bradley Wiggins (Sky) finished in a group at 1-13 as he hones his form ahead of his title defence at the Tour of Britain, starting on Sunday, September 7. The French national time trial champion will turn his attention to the 2014 UCI World Championships, where he is expected to contest the time trial and road race disciplines.